Some of us are already starting to dream about a little slide around the alpine slopes this year. Luckily Nigel Howard's Devonshire Mulled Wine may transport you to those fond alpine memories on the slopes a little quicker and certainly a lot more affordably. Our Mulled Wine can be drunk cold, however is best drunk after gently being warmed to bring out its full flavour. 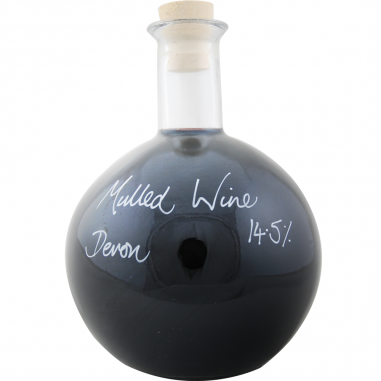 Nigel's mulled wine is made from a delicious blend of their Damson and Elderberry wines and traditional festive spices. Served warm with a tot of brandy it makes a truly festive winter warmer. This is handmade by a small team of passionate individuals at the West Country's Lyme Bay Winery, we should know as Frances and I went to visit them in 2005. created by Nigel Howard, a retired banker who escaped the City in 1994 to make wine, the team at the winery uses both traditional and modern production methods to create the best quality wine.